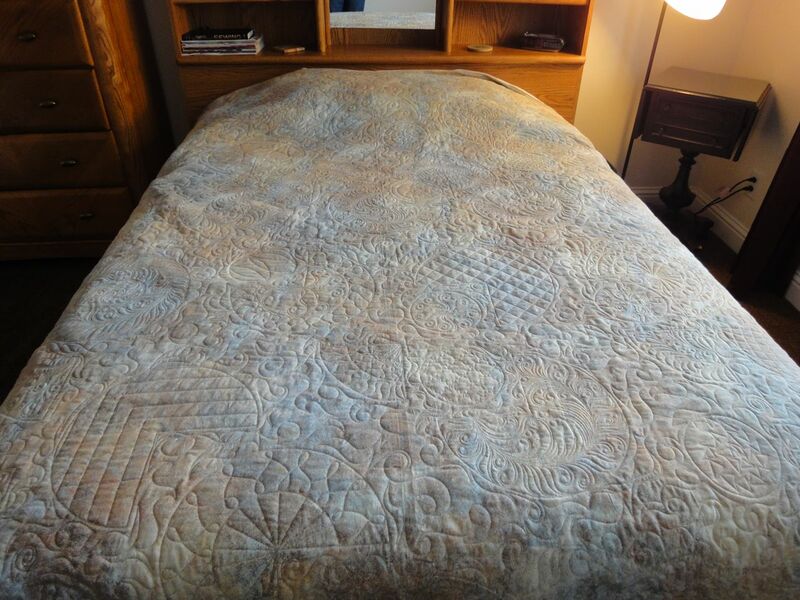 I just finished this wonderful quilt for Pat G. She makes beautiful and interesting quilts, and adds extra touches to make my job easier. 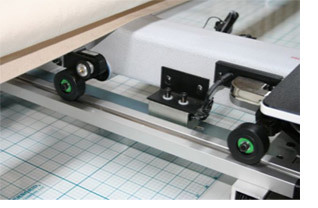 For instance, she always marks the center of each side of her quilt and back with a few hand basting stitches in a contrasting thread! And she stay-stitches the edges of the quilt top to help prevent stretching. 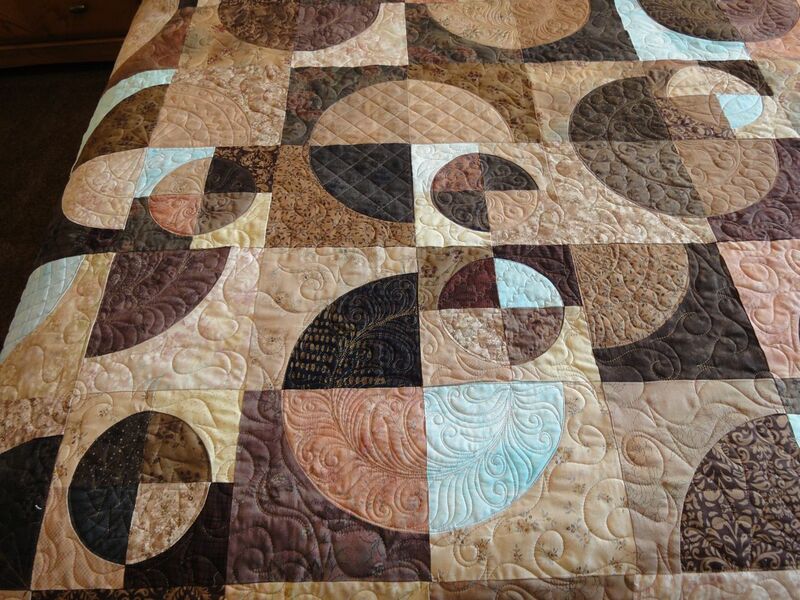 For this quilt she wanted some special attention to the circular shapes in the quilt but an allover design for the rest of the interior, to enhance the “background” those circles float on. Then we added some very nice ferns around the border, as this quilt is destined to live with a man. 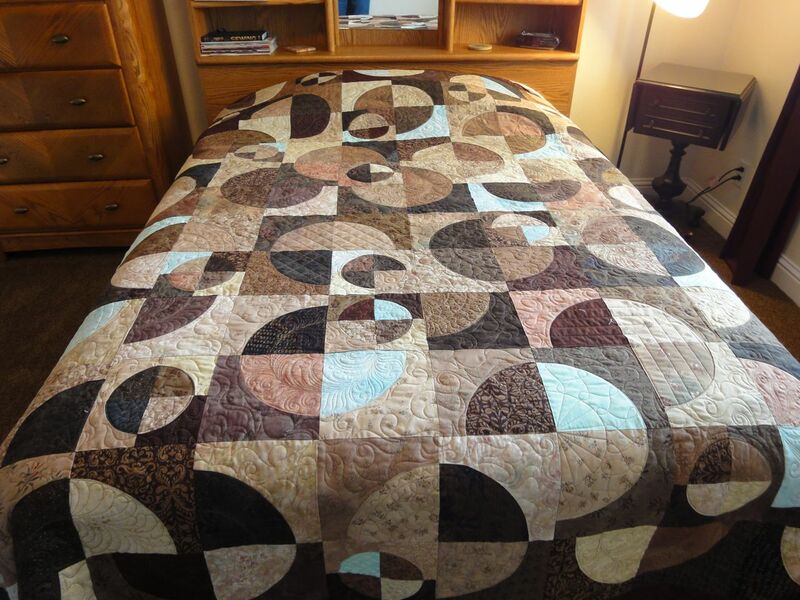 I used quite a few different quilting designs in the circles. They were fun to do, and a challenge to think up the new ideas for each one.